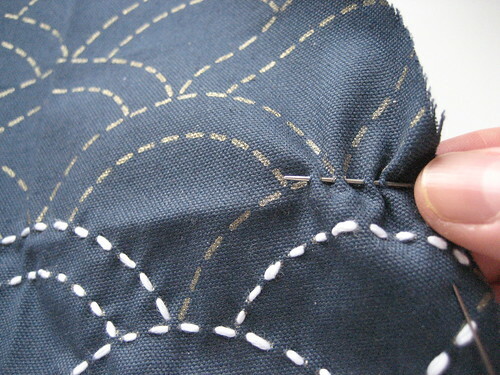 I want to learn sashiko someday :) No time right now, alas. I love close ups of needlework. That's why I take them all the time. I love the close-ups, too! I really want to try sashiko one day! I love how the white dotted lines make a beautiful pattern on the dark blue textile. I like the close ups too and I love to see works in progress.